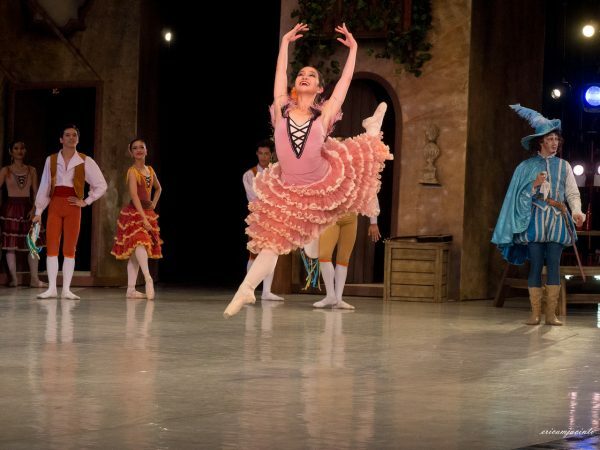 Ballet Philippines ended their season with the age-old romantic comedy Don Quixote. 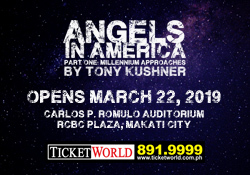 It is frequently staged in Manila because it has all the components of a strong ballet. The love story of a poor but incredibly charming barber and the mischievous town darling as they pursue the blessings of an unrelenting father is in itself great entertainment, but the amount of virtuoso dancing provides excitement, balanced by a whole act of lyrical movement. 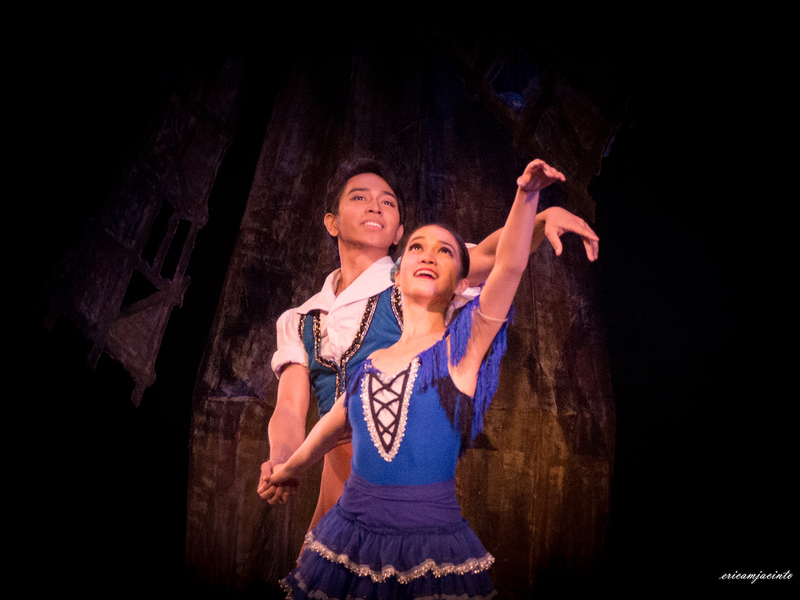 While it’s quite difficult to fail at Don Quixote, Ballet Philippines has a few tricks up their sleeves. It was the debut of both the newly-recruited Ian Ocampo (playing the charming barber Basilio), and soloist Monica Gana (playing the sassy Kitri) last Saturday, and these debuts added to the thrill of the experience. Ocampo, who is organically brazen in his approach to dance, easily matched the temperament of boyish “Basilio”. As soon as he entered the stage, his energy filled the space. He came ready with triple turns and defined tours glazed with Spanish flair. His ala seconde (legs extended to the side) turns were compliant and were finished strong. Gana, with her bright eyes and porcelain-like facial features, came out charming and endearing. Her interpretation of Kitri was not the standard feisty woman. Instead, she used a sugary sweet disposition to get her way with the men. Her approach was unconventional, but because she was unrelentingly consistent her story telling was clean and intelligently done. Her backbend jumps and grand jetes (split leaps) were crisp. She conquered the technical challenges, but fell short a bit in the execution of her fouettes (continuous whipping turns). A few slips here and there didn’t leave a dent because at the end of the day she was a true charmer who came out a star. What cemented their performance was their partnership. Their interconnectedness made them a convincing pair. Connected with a gaze, a touch, a whisper, they presented a believable loving relationship. It’s not often in a ballet that you visibly see a dancer feed off of each other’s energy with an interplay of conversational reactions and nuances. This pair, like seasoned thespians, were able to accomplish that flawlessly. Supporting Ocampo and Gana with enthusiasm were ballet comedians John Ababon as Gamache, Emmanuelle Guillermo as Sancho Panza, Butch Esperanza as Lorenzo, and Jojo Mamangun as Don Quixote. Ababon was particularly clever in his execution of flamboyant panache while showing full technique. The ensemble danced with prescribed precision at all times, which reflects a focused effort to achieve pure classicism. Kudos to Associate Artistic Director Adam Sage who has elevated the standard of the Company in terms of their classical technique. In Act 1, the curtains opened to a three dimensional set of a town that was designed by the late National Artist Salvador Bernal. Its angularity was special because it allowed entrances to be concealed until the very last moment, yielding numerous surprises. Its levels allowed the ensemble to pretty much linger in some areas like people normally would. Its rustic colors were warm. It was the perfect shade to paint the picture of community and closeness. Similarly, the simple windmill against a backdrop red moon floating in a sea of blue really set the mood for gypsy dancing. In the dream sequence, the curtains opened to Eduardo Sicangco’s majestic backdrop. With a baroque and shangrila-esque heaven, it transported the audience to a place where Don Quixote’s dreams seemed a likely possibility. The refinement of artwork was impressive because it seemed to embrace lines of the dancing corp de ballet as part of its overall aesthetic. Ricardo Cruz, who was responsible for recreating the sets from scratch, evidently put a lot of time and effort to research and execute meticulously the works of both Sicangco and Bernal. In particular with Bernal’s work, since a scale model was not available, careful study of the design plan and numerous consultations with Bernal’s old workers and dancers had to be done. With Sicangco, Cruz had to find the right artwork to match the requirement of the story. Bravo is much deserved. While the sets were mesmerizing, the costumes were truthfully disturbing. The artistic choice of not using red for Kitri made the Principal fade into the background. If not for the powerful stage presence of Monica Gana she would be entirely unnoticeable. Her costume was also quite simple compared to Mercedes (played by Katrene San Miguel), who is a secondary role. San Miguel was practically glistening in beauty with the two intricately made costumes. While her role requires sophisticated garment, it was almost distracting. Some of the corp de ballet also looked like they were wearing shabby spandex sandos matched with contemporary skirts. There was a lack of unity in the costume designs. Audiences who were able to catch the amazing Joseph Gatti as Basilio with Ballet Philippines two nights before could not stop talking about how brilliant he was. Having said that, I believe our locals achieved something special too. They were triumphant in reminding audiences to believe in the Filipino. Ballet Philippines had talented dancers at the forefront and committed artists behind the scenes. It is a product of passion and inspiration. Don Quixote will make you laugh and love; a definite must-see!